Fun and games in the kitchen with a real-life working mom. 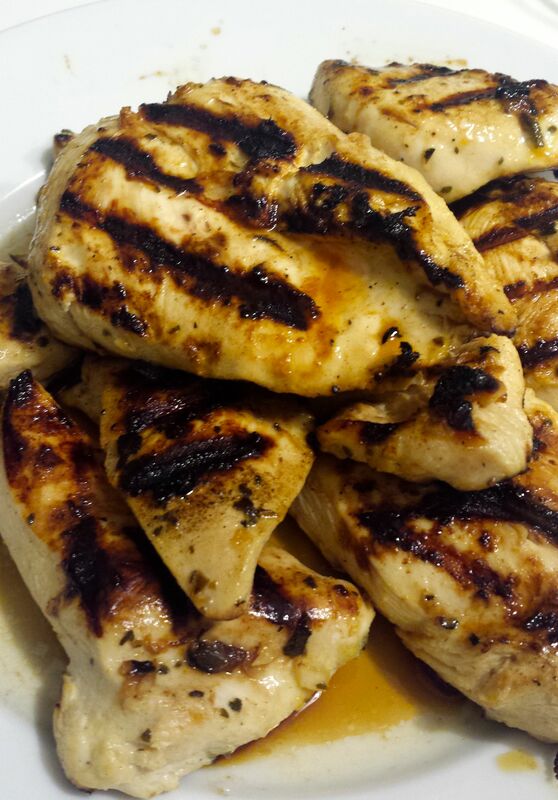 No question–summer is grilling season. And much as I love the convenience of tossing chicken into a bowl of premade marinade, the lists of ingredients on those bottles are often a big turn-off. I can’t pronounce half that stuff. Doesn’t make a lot of sense to make healthy grilled food doused in chemicals. This is a really simple alternative. It’s a very light, fresh lemon marinade that took me about three minutes to throw together from fresh ingredients in my refrigerator and pantry. And the best part was that everyone liked it. We served it with some yukon gold potatoes sliced thin, sprinkled with olive oil, salt, and dill, and roasted at 425 for about half an hour (until they get crispy on the outside), and simple steamed broccoli, and the grown-ups paired that with some sliced cucumbers and tomatoes with balsamic vinegar. It was a great summer dinner. Put your chicken in a bowl or zip-top bag. Whisk together the rest of the ingredients and pour over the chicken. Let it sit for a few hours (mine sat all day), stirring or turning every so often. Heat your grill, throw the chicken on there, and cook until it’s done (165 internal temperature). Yesterday was the last day of school, praise God and all the angels above. Not that I don’t love our school (I do, mostly) and not that the kids didn’t have great years (they did, for the most part, usually, sometimes), but the math homework and the projects and the needing some obscure thing at 7:30 in the morning sorry I forgot mom, and the not-invited-to-camp-or-the-party drama and the runningrunningrunning all get to be a bit much by June. Right? If you’ve got a kid older than five, you’re nodding with a big hell yeah (if not, well, you’re either a remarkable parent, terribly detached, or on the verge of an intervention). DH was traveling for work, which is not all that unusual, and the kids wanted lasagna for dinner. Fine–no worries. Lasagna it was and it was good and all were happy. But I needed a dessert, too. Something fun and unexpected and worthy of the occasion. We made it. But also really simple and easy. I’m tired. A few weeks back, we celebrated a family birthday at one of our favorite restaurants. The place was crowded and not prepared and our food took a long time to arrive, and in an act of pure class that will keep me coming back forever, the manager came over and offered us all dessert on the house with his apologies–and we didn’t even complain. What we got, though, wasn’t a traditional peanut butter pie. 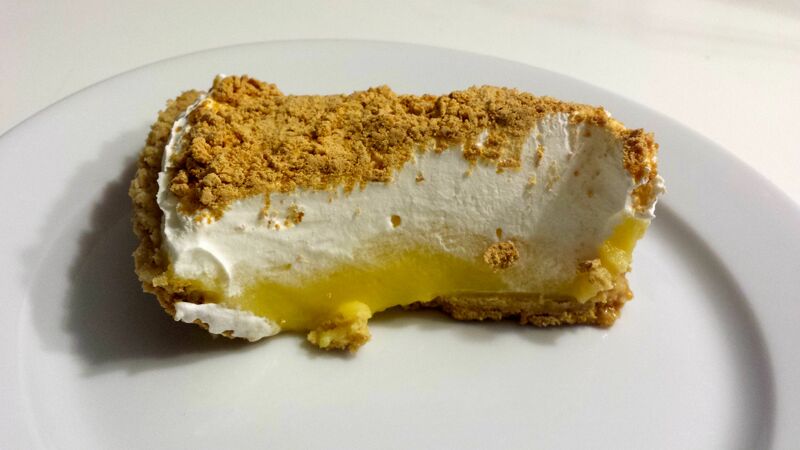 This was a layer of graham cracker crumbs, a layer of vanilla custard, a layer of whipped cream, and powdered peanut butter on top. Seriously among the best things I’ve ever put in my mouth. That peanut butter powder works miracles on the layers below and it’s a thing of beauty. Like, I took a picture of it so I wouldn’t forget later. Mix your vanilla pudding according to the directions on the box and stick it in the fridge for about five minutes to let it set up a bit. Once that’s set, spread it into the pie crust. Smooth the whipped topping over that. Sprinkle the peanut butter powder over that. Cover and let it hang in the fridge for a few hours. The first thing DH asked me after he took a bite of this last night was whether there was meat in it. Answer: No. But the texture is just like a very hearty meat sauce. And my kids, who won’t touch identifiable mushrooms, ate some. Which was awesome. The next thing he said was that it may be the best pasta sauce he’s ever eaten. Score, ladies and gentlemen. Score. It’s super easy, very fast, and uses stuff you probably already have in your pantry. And it’s healthy. I cannibalized this recipe from one in the defunct Gourmet magazine, which I miss very much and wish like heck would come back on paper or the iPad (did you know the iPad version is dead too? Sad, sad, sad.). Their recipe had chicken and rosemary and arugula and whole tomatoes and fancy-schmancy gourmet mushrooms and seemed like a bigger pain than necessary. I didn’t want chicken last night. I don’t like arugula despite its current trendiness. God made chopped tomatoes in cans and boxes for a reason (have you seen the boxed chopped tomatoes? My new favorite thing–they are amazingly good). I am a tightwad. And I don’t keep rosemary in the house. So improvisation was necessary. 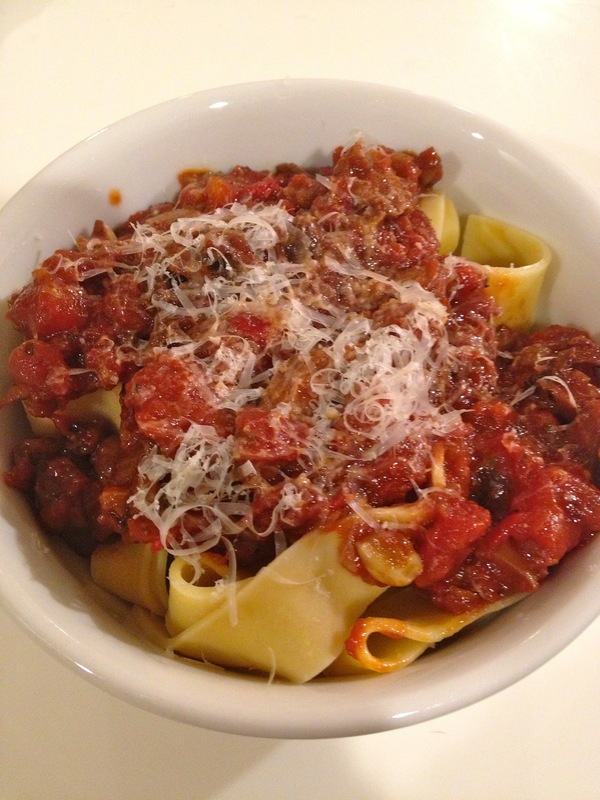 We had this with pappardelle pasta, which is my favorite noodle of all time. The kids think it’s fine and DH isn’t much for it. You can’t win them all. This would work well on ziti or rotelle or shells, too. I am having more for lunch today, and am already smiling thinking about it–it’s really yummy. 8 oz mushrooms, roughly chopped (I started with sliced button/white mushrooms and cut them into quarters). Heat a large pan over medium heat and coat the bottom with the olive oil. Cook the onions until they’re soft but not brown–about 2 or 3 minutes if your pan is hot. Stir in the mushrooms, garlic, salt, and pepper and cook until the mushrooms start to brown. They’re going to shrink and they’re going to give off their liquid. Do not panic. It’ll soak back up after a few minutes. When the mushrooms look like they’re starting to cook, stir in the chicken or veggie broth and let it go for a few minutes. Once your mushrooms are brown, use the balsamic vinegar to deglaze the pan (stir it in and scrape up all the yummy brown bits o’ goodness up and into the mushrooms). Cook until the vinegar is thick and sticky, which is only a minute or two. Stir in the tomatoes, pepper, and 1 tsp of the basil. Lower the heat and simmer for about 15 minutes, until the sauce thickens up a little bit. Stir in the rest of the basil, adjust salt and pepper, ladle over your cooked pasta, and top with grated Parmesan. It is flippin’ freezing here in the Washington, D.C. suburbs. My handy-dandy LL Bean thermometer tells me it’s currently 18.2 degrees outside my back door, and the wind is whipping like Harrison Ford in a pit of snakes. (AND the Ravens are going to the Superbowl! Yahoooo!!!) Which means, of course, that it’s a fantastic week for chili. This is a recipe I cannibalized modified from Cooking Light. Theirs originally had squash in it. Nobody in my house likes squash (yes, we’ve tried. Many ways. Many varieties. Not happening. Sorry.). I tried it with chunks of sweet potato. I loved it; nobody else did (*sigh*). So I did what any red-blooded American mom did when she wants a mostly healthy meal on the table that nobody will complain about, and added bacon. You heard me. Bacon. To the bean chili. 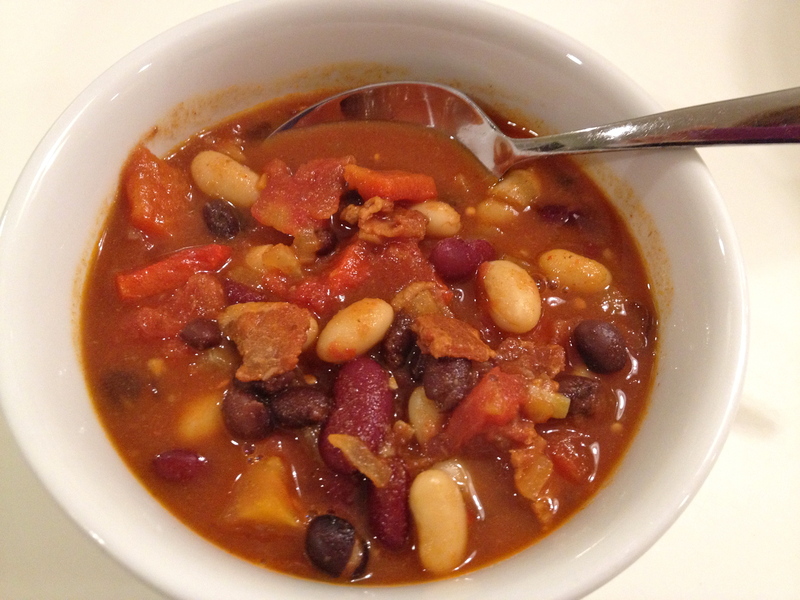 Which is decidedly no longer vegetarian, but is super delicious and very easy to make. I made a big pot tonight and am saving it for tomorrow, because this is one of those recipes that gets better the longer it hangs out in the refrigerator. It has joined my list of go-to meals to share with people who could use a home-cooked dinner dropped at their door. Everybody Most of my family loves it (nine-year-olds are impossible to please and I am not taking it personally). And it’s mostly healthy. One quick note: I am going to tell you how to make roasted red peppers. It is super easy and they’re fun to peel when they’re all crunchy and black, and they’ve become something of an obsession with me lately. If you would prefer not to share my joy in this particular department, go ahead and buy yourself a jar of roasted red peppers and chop a half-cup or so for your chili. I won’t tell. Heat a large soup pot over medium heat and spray it with olive oil. Toss your chopped bacon in there and let it crisp up. While that happens, slice your red peppers into four slices each. Cover a baking sheet with foil, spray it with oil, lay the pepper strips skin side up on the foil, and stick that under the broiler for about 5 to 10 minutes, until they’re all black. Remove them with tongs from your baking sheet, seal them up in a plastic zip-top bag, and let them hang out in their own steam for about 15 minutes. Once your bacon is all crunchy, remove it from the pot with a slotted spoon, set it aside for later, and drain most of the bacon grease from the pot. Then, dump in your onion, stir it around, and let it get all soft–about 10 minutes. After your onion is all cooked, add in the spices and garlic and stir for about 2 minutes. Stir in the broth, being sure to scrape up the yummy brown stuff from the bottom of the pan while you stir it in, and then your tomatoes. By now, your peppers have worked their magic. Carefully remove them from the bag, lay them on a cutting board, and peel the black skin off with your fingers (chuck it). 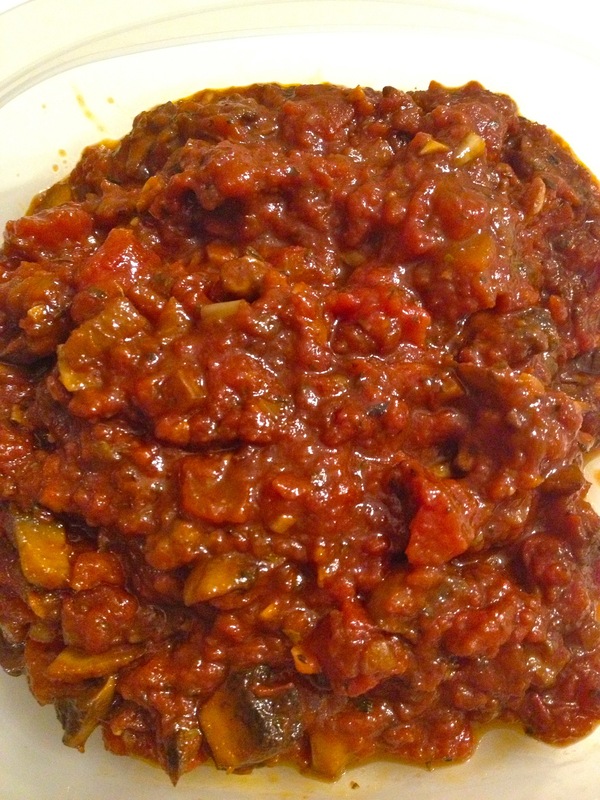 Chop up the roasted pepper that’s left, stir it into the pot, cover, and let that mixture simmer for 15 minutes or so. Rinse your beans well, and then stir them into the pot along with whatever bacon you didn’t eat already. Cover again, let cook for about 15 minutes, shut off the heat, and either eat right away or stow in a covered container overnight (I highly recommend letting it sit overnight for best flavor). Enjoy. Yes, I’m still here. No, I’ve not been ignoring you all on purpose. Again. Life has intervened, interrupting both my creative and kitchen mojos. But the fog seems to be lifting, I’m cooking again, and we’re going to give this another shot if you’ll still have me (please say yes!). Let’s talk about buying a chicken and happily setting it out on the counter to roast on a night your husband is away (because you love, love, love roast chicken and he pretty much hates it) and then remembering that you’d cleaned out the frig and freezer recently and had none of the lovely things you normally stuff inside and set around a bird before it goes into the oven. You have, of course, two choices: sadly put the chicken into the freezer for another time and have cereal for dinner, or improvise. I chose #2. Because I really had my heart set on roast chicken that particular night. Improvising won, and I rummaged around and put my chicken in the oven with the stuff I had in the house, and he cooked up and cooled off and I carved him up, and guess what? Best. Chicken. Ever. 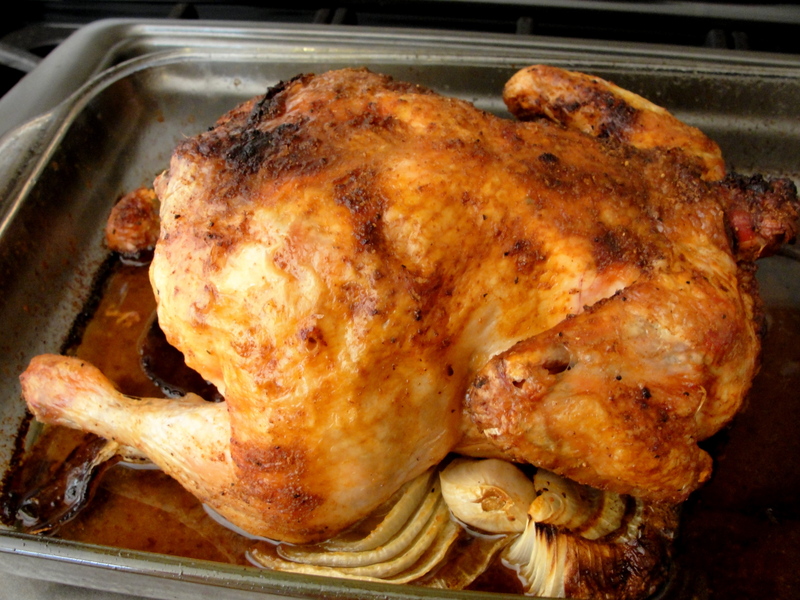 Seriously–I am in love with the way he got all moist and aromatic and delicious and perfect, and the fact that this was way less work than the usual way I cook a whole chicken, and Accidental Chicken is now my go-to recipe for nights the roast-chicken-hating spouse (freak) isn’t home for dinner. Preheat your oven to 425 degrees. Spray a large roasting pan or casserole dish (I use a 9 x 13 Pyrex dish) with your nonstick goodness of choice. Pour your wine and water into the dish so it covers the bottom (add more water if you need it). 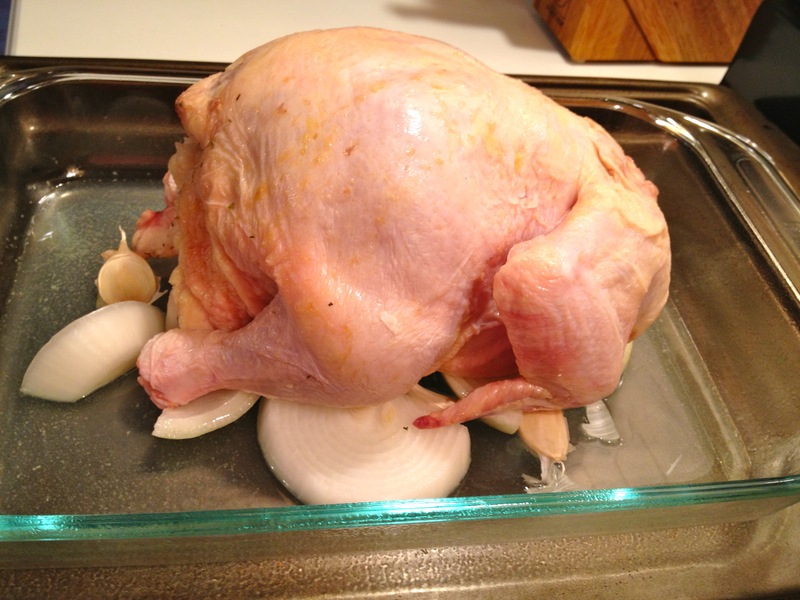 In the middle of the dish, lay your onion slices and garlic cloves–this will be the rack your chicken sits on. Stick your meat thermometer into Mr. Chicken’s thigh and pop him into the oven, being very careful not to slosh your wine/water out all over the place. Let him roast for about an hour or until that thermometer says his thigh is 165 degrees. Take him out of the oven (careful!) and let him cool for 15-20 minutes before you carve him up. You can also enjoy those onions and garlic down in the pan, which I think are God’s own vegetables, if you want. I saw you wrinkle up your nose at that title up there. Give me five minutes–I’m gonna change your mind about this vegetable, even if you think it’s bitter or limp or boring. Nothing could be farther from the truth when you use a really easy, hands-off technique to cook it. We had dinner at a friend’s house this summer; she always makes something that’s simple and amazing, and this time was no exception. Steak and a really good salad (I need to ask her if I can share her salad trick with y’all, come to think of it), and broccoli. But this broccoli was sweet and crunchy and unlike any I’d had before, and I went back for a big second helping of just that. It was that good. Her secret? Roasting. You know how if you cook a chicken or Brussels sprouts with a little oil and salt in a scorching hot oven, magic happens? The outside of the goodies caramelizes while the inside stays nummy and juicy and amazing? Same thing with broccoli. And why it didn’t occur to me before now to try it is a mystery. Doing it with my new favorite ingredient–garlic oil–makes it just about the perfect vegetable (Confession: The first time I made this, I left the pan on the counter for about 10 minutes while the rest of dinner came together. And at the end of that 10 minutes, the broccoli was almost gone. I picked at it the whole time. Seriously good stuff, and it’s a vegetable! Sweet!). It’s crunchy and sweet and perfect. Heat your oven to 425 degrees and spray a rimmed baking sheet with oil or your nonstick goodness of choice. 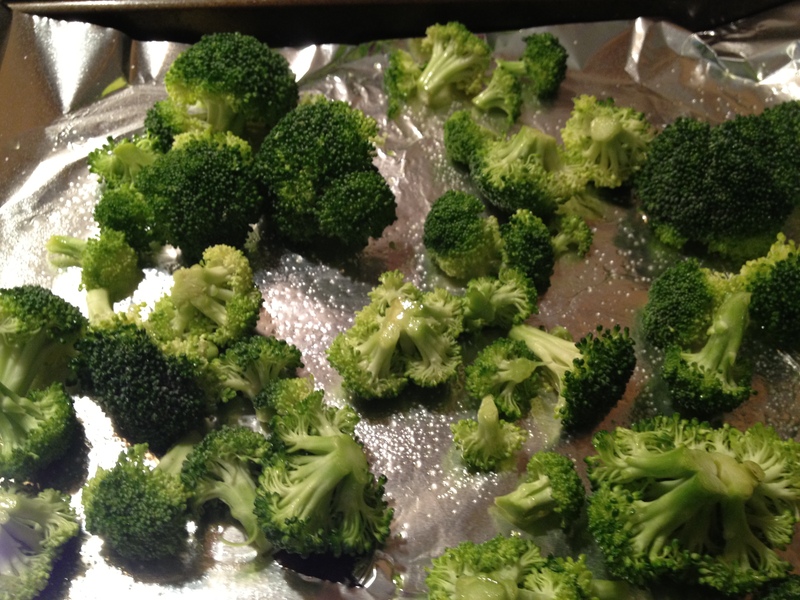 Lay your broccoli on the pan and drizzle it with the oil. 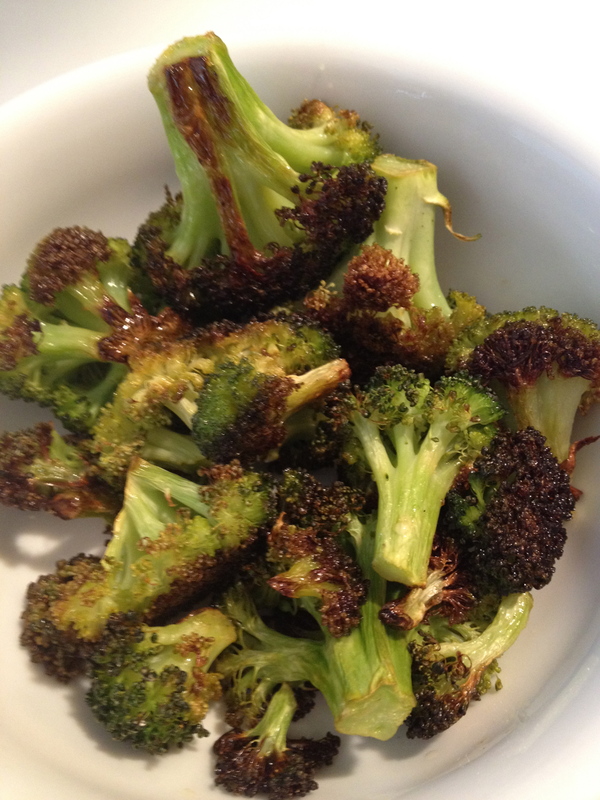 Toss with your hands to get every bite a little bit of oil (the broccoli will not be coated). Sprinkle with salt, pop in the oven, and cook it about 10-15 minutes, depending on your oven, until the tops of the florets are brown and crunchified. Tell me that’s not the easiest, most delicious veggie you’ve ever had. The kids and I visited our local warehouse club earlier this week and scored a big, heavy package of flank steak for less than half what it costs per-pound at the grocery store. Sweet, right? So after we came home, I carefully wrapped most of it up in single-pound portions, labeled it, and laid it in the freezer. The last pound, though, I kept out. I have this file of recipes torn out of magazines that lives in a rack on my desk with my work files–do y’all keep one of these? The poor thing is bursting at the seams with all sorts of yummy potential, but there was a flank steak recipe in there I knew I wanted to try. So I flipped through the file and pulled it out and glanced it over, and sighed mightily. I didn’t have all the ingredients. Now, there are two possible things to do in that situation: haul the kids and me back out to the grocery store for another meander through the aisles and wait in the checkout line, or make do with what I have and wing it. I went with Door #2. Rummaged through my fridge and pantry, mixed some stuff together in a plastic bag, baptized Mr. Steak in there, and let him swim in the mixture overnight (in the refrigerator, of course) and all the next day. About an hour before dinnertime, I yanked that steak out of the fridge and let it rest on my countertop, because room-temperature steak cooks better than cold. And about a half-hour before chow time, I heated up my broiler to high, wrapped a rimmed baking sheet in foil, laid a cookie cooling rack on there, and sprayed the whole concoction with olive oil. The steak went on the cooling rack and into that oven, and in about five minutes was looking caramelized and gorgeous. I flipped him over, gave him another five under the flame, pulled him out, covered him with fresh foil, and let him sit for 15 minutes. And then we sliced him up, doled him out, crossed fingers, and waited for the reaction. That was my reaction, anyway. My son–the one who exists on air most of the time–got big wide eyes at first bite and ate two heaping plates of this meat. This is the very best flank steak I’ve ever had, and I am very happy that I didn’t have the ingredients to that other recipe (which I’m sure is very tasty, but seriously, this is amazing steak). It’s savory and just a little sweet and tender and I loved it. Dump all the ingredients but the steak into a large zip-top bag, and use your fingers on the outside of the bag to mush it all together. Lay your steak in there, give him a little massage to get him good and friendly with the marinate, press the air out of the bag and seal it, and put it on a plate or in a bowl in your fridge overnight. Flip it every few hours. Take the steak out of the fridge an hour before dinnertime. Heat your broiler to high. Cover a baking sheet with foil, lay a cooling rack on top of that, and spray it with olive oil or your nonstick goodness of choice. Carefully put the steak on that and broil for about five minutes per side (this is going to fluctuate with your oven) until the top sides get all crunchy brown and the inside is medium-rare. Take it out of the oven, tent with foil, and let it rest 15 minutes before slicing.